What is QSM3 and NUCCA? Corrective Care Chiropractic is a completely different approach to achieving and maintaining optimal health. A true Corrective Care Chiropractor will evaluate the Central Nervous System (CNS) and spinal function. The Chiropractic Corrective Care doctor evaluates the person for not only trauma and pathology but more importantly for function. Since our CNS controls every single one of our cells, tissues, and organs we need it to function as close to 100% as possible. It's kind of like spinal orthodontics. Although all Chiropractors are able to give relief care, the Corrective Care doctors and staff at our office will search for the true cause of any health condition and design a specific plan of action for each patient. The Corrective Care adjustment and alignment process, similar to what an Orthodontist does to teeth to correct their alignment, in time can often correct the spinal alignment. Thus stopping, or at least, slowing down the degenerative decay in the spine. This often requires several visits over a period of time. However, it will not require bracing the spine but instead giving very specific Chiropractic adjustments to slow down the degeneration at the spinal level and improve nerve function. Corrective Care Chiropractic can aid in building a healthy body and immune system by slowing down mechanical decay in the spine and helping the patient to function at an optimal level to maximize their overall health and quality of life. More often than not, when we tell someone that we are a upper cervical chiropractic office, they immediately associate our vocation with neck and/or back pain. They usually say, "I used to go to a chiropractor when I threw my back out," but what they do not realize is that chiropractic is a health care modality that provides significantly more than just a solution for pain. Chiropractic is a lifestyle that involves all aspects of wellness including exercise, nutrition, personal development, stress relief, etc. We have been fortunate to work with people from all walks of life (including newborns, children, and adolescents) and the outcome has been miraculous. Children, who were diagnosed with colic or about to have tubes placed in their ears, were able to find a solution that actually lasted for a lifetime by means of the chiropractic adjustment. We define upper cervical chiropractic as the discovery and removal of the vertebral subluxation, which is interference that is taking place in your central nervous system (CNS). It is important to recognize that our CNS is the master controller of our entire body and it directly correlates to our ability to function and exist. People who are suffering from allergies, asthma, headaches, etc. are often living subluxated, but when we provide these individuals with an adjustment, we are able to remove the interference, and often the symptoms associated with these conditions may dissipate. In addition, patients who are under regular chiropractic care actually prevent these situations from impeding upon their lives. Maybe you are wondering where a "subluxation" comes from, and if this is the case, it is the direct result of everything that we do. Lifestyle stresses, perceived as either positive or negative, result in nerve interference, which needs to be addressed. For example, during the holiday season, many people tend to consume a substantial amount of food and alcohol and also spend more time with family (which some would consider stressful). What we have seen is that after the holiday season, people typically get SICK, which happens to be caused by a subluxation. The food, alcohol, and family represent lifestyle stresses, even if they are labeled as positive, because our body is extremely sensitive to external factors. This is why upper cervical chiropractic care needs to be an essential component of your life and something that we encourage your entire family to consider. When visiting our practice, we take the upper cervical chiropractic lifestyle to a level where it becomes REAL for you. Not only do we offer the adjustment, but we combine these programs with tips on fitness, nutrition, and stress relief. We take into account your entire body and the lifestyle choices that you make when developing customized protocols for you to follow. With this being said, please contact our office today so that we can schedule a health consultation with you! A Gentle Correction a gentle touch and controlled contact on the first vertebra in the neck is designed to restore balance to the spine and nervous system. Even though the adjustment is administered at the neck, the efforts of the correction influences the whole spine and ALL body systems. This is because the NUCCA and QSM3 procedures influence one of the highest control centers of body balance and healing, the brain stem and central nervous system. Patients find the adjustment to be very comfortable. There is NO CRACKING, NO POPPING AND NO TWISTING OF THE SPINE. Since the adjustment is so gentle, the doctors adjust children, seniors and even patients who have had spinal surgery in the past. The C-1 vertebra, also known as the Atlas, is a small donut–like bone located at the top of the spine and the base of the skull that surrounds the brain stem. When the spine is subjected to stress it can become misaligned. This phenomenon is known as the Atlas Subluxation Complex Syndrome (ASC) or ASC syndrome. Implications on Your Health: The nerves in the spinal column are very sensitive to pressure and stress. When the spine becomes misaligned sufficiently, it stresses the nerves which compromises the transmission of information between the brain and the body. QSM3 is based on clinical findings and current research of biomechanics and its effect on human physiology and health. This has led to a paradigm shift within the chiropractic profession and upper cervical chiropractic. We have emerged from an “articular” (bone out of place) model to a “tonal” (body out of place) model. A “body” out of place creates global tension affecting the well being of that body. Our new understanding of the effect of gravity on the (whole) body and the ensuing tension-compression syndrome has facilitated a new methodology for corrective postural analysis and care. This “flow model”, called “cause to correction” measures and analyzes postural distortion 3-dimensionally, with the intent to release tensional asymmetries via the neuro-myofascial interconnection and to restore Tensegrity. This releases the framework and opens life’s homeostatic structural, functional, and energetic potential (Vitalism). It is our unique interest in the cervical region as the converging hub of neuro-myofascial access and release that makes QSM3 the progressive method and organization in chiropractic today. Nerves are responsible for four primary functions: The National Upper Cervical Chiropractic Association has developed a highly advanced procedure that is an extremely precise and gentle technique unlike any other kind of care. This technique is exclusively practiced by less than 1% of all chiropractors in the United States. Control and regulate all vital functions including circulation, breathing, immunity and digestion. Activate muscles allowing us to move. Allow us to sense, perceive and feel…this is our life experiences. Relate to the world outside ourselves including learning, emotions, experiencing and behavior. 1 Control and regulate all vital functions including circulation, breathing, immunity and digestion. 2 Activate muscles allowing us to move. 3 Allow us to sense, perceive and feel…this is our life experiences. 4 Relate to the world outside ourselves including learning, emotions, experiencing and behavior. Precise, Accurate Spinal Adjustments NUCCA & QSM3 spinal correction depends upon precise mathematical calculations, physics and biomechanics. Laser aligned X-rays are a critical part of ensuring your spinal correction is accurate and successful. Every effort is made to keep x-ray exposure to a minimum, including the use of state-of-the-art High Frequency x-ray and various lead filters. The doctor will take both pre- and post-correction x-rays from three different angles focusing on the skull, atlas and spine. These x-rays determine the direction and degree of spinal misalignment. Using them, the doctor determines how to properly balance your spine. The initial spinal pictures help the doctor determine precisely how to make the proper correction. The post-correction pictures verify that he has indeed made the proper correction. Computerized Neurological Testing The Insight Millennium Subluxation Station is a non-invasive, painless combination of neurological tests called Thermography and Surface Electromyography. Both tests utilize surface sensors that measure nerve function. By measuring nerve function of the spinal nerves, we can assess where spinal problems are occurring and how severe the problems are. Not only is this test extremely helpful in determining where problems exist and how severe they are, but is also helpful in determining progress as a patient is undergoing care. NUCCA and QSM3 spinal correction depends upon precise mathematical calculations, physics and biomechanics. Laser aligned X-rays are a critical part of ensuring your spinal correction is accurate and successful. Every effort is made to keep x-ray exposure to a minimum, including the use of state-of-the-art High Frequency x-ray and various lead filters. The doctor will take both pre- and post-correction x-rays from three different angles focusing on the skull, atlas and spine. These x-rays determine the direction and degree of spinal misalignment. Using them, the doctor determines how to properly balance your spine. The initial spinal pictures help the doctor determine precisely how to make the proper correction. The post-correction pictures verify that he has indeed made the proper correction. The Insight Millennium Subluxation Station is a non-invasive, painless combination of neurological tests called Thermography and Surface Electromyography. Both tests utilize surface sensors that measure nerve function. By measuring nerve function of the spinal nerves, we can assess where spinal problems are occurring and how severe the problems are. Not only is this test extremely helpful in determining where problems exist and how severe they are, but is also helpful in determining progress as a patient is undergoing care. Relief for Cervical Vertigo Symptoms, Trigeminal Neuralgia Holistic Treatments and more..
Wellness Based Care Wellness Based Care Health Care of the future will focus on achieving a degree of WELLNESS prior to the development of disease and/or symptoms. The "old model" of waiting until there is a problem has proven to be an ineffective approach to obtaining health. Many of our patients have chosen to take back control of their health and they have their spine and nervous system checked periodically, much like going to the dentist. Dr. Arbeitman serves as a wellness coach, providing sound advice and guidance so that you may reach all your personal wellness goals. Conditioned Based care Many patients seek our care due to symptoms that they may be experiencing. These symptoms may be related to a spinal misalignment that is disturbing the body's nervous system..
Vertigo is the sensation of that either your body or the environment around you is moving, when both are fixed in stationery positions. It may even feel as though your body or the world around you is spinning. True vertigo is different from the feeling of lightheadedness that comes with fainting. In addition to the feeling of motion, it may include nausea or vomiting, ringing in the ears, and sweating. You may also experience visual disturbances, feelings of weakness, difficulty walking or talking, or a feeling of reduced consciousness. Each episode can last from several minutes to several hours and may be constant or intermittent. Vertigo may result from any number of causes or as a symptom of another illness or injury, such as whiplash, an inflammation of the inner ear, a tumor (acoustic neuroma), a decrease in blood flow to the brain, neck injury or head trauma, headache (especially migraines), or multiple sclerosis. How Has Upper Cervical Chiropractic Care Helped People who have experienced Vertigo for Years? The NUCCA & QSM3 procedures utilize a gentle touch and a controlled adjustment to the first vertebra of the spine, commonly called the Atlas. This adjustment often corrects any misalignments in the spinal column which irritate the nerves that run from the brain and spinal cord to the blood vessels in the head. Often, cervical spine misalignment that is the result of severe trauma, an injury or an accident causes nerve function between the brain and body to be compromised. The balance centers of the brain are influenced by the nerves in the upper cervical region. Recent research has revealed that vertigo, dizziness and balance symptoms may result from this type of misalignment. A NUCCA & QSM3 practitioner can conduct specific diagnostic tests on your spine and perform a thorough spinal exam to locate these misalignments. Then, through a gentle adjustment to the upper cervical vertebrae, performed by hand or a precise instrument, the NUCCA & QSM3 practitioner can realign the spine. This type of adjustment generally relieves any nerve interference, balances the body, resulting in improvement or total relief of the symptoms associated with vertigo. We've achieved results for people who have experienced vertigo for years and tried many other methods. Trigeminal Neuralgia (TN) is characterized by facial pain that is described as excruciating, stabbing, and sharp, usually on the right side in the cheek or jaw. Attacks can last for minutes, hours, days or even years and it affects women, generally over the age of 50, far more often than it affects men. Some people experience a mild attack of Trigeminal Neuralgia, with only slight twinges of pain, while others experience pain so severe, they feel as though "live" electric wires are running through their faces. An attack may last from several seconds to a minute or more, with attacks occurring repeatedly throughout a day, days, weeks or years at a time. Some people experience short periods of remission, although these periods become less common as the disease progresses. Trigeminal Neuralgia usually only affects one side of the face. In rare instances, it can affect both sides, usually a side at a time. It is a chronic, progressive condition that affects the fifth cranial (trigeminal) nerve, one of the largest nerves in the head. Talking, chewing, or swallowing intensify the pain, making it extremely difficult for the sufferer to cope, which is why it is often referred to as the "suicide disease." Although the condition is not fatal, it is generally considered to be the most painful affliction known to man. The pain of Trigeminal Neuralgia starts with the trigeminal nerve, located deep within the brain. This nerve carries sensation from the brain to various parts of the face through three smaller branches. The pain usually originates when the trigeminal nerve comes in contact with an artery or vein in the base of the brain which exerts pressure on the nerve, causing it to "misfire." Stress or nerve damage may initially trigger the pain. Compression caused by a tumor, multiple sclerosis or a stroke that affects the lower part of the brain may also cause this condition. Eating, drinking, smiling, brushing your teeth, taking, shaving - all these actions can trigger a painful episode. How Can Upper Cervical Chiropractic Care Help Those with Trigeminal Neuralgia? One of the major problems with Trigeminal Neuralgia is that the pain worsens and becomes more constant over time, requiring higher dosages of pain medication, that usually lose any effect on the pain over time..
Often, misalignments in the upper cervical spine, caused by some type of trauma to the region as a result of an accident or injury, cause compression on certain nerves (cranial nerve V) that result in pain such as that experienced by Trigeminal Neuralgia sufferers. The misalignment is detected through diagnostic testing that includes precision x-rays and Thermographic/Surface EMG scans. By applying the NUCCA & QSM3 procedures, a chiropractor skilled in this technique can relieve compression on the damaged nerve. After correcting the misalignment in the upper cervical spine, normal communication is re-established between the brain and any pressure on the affected trigeminal nerve is removed, thereby alleviating the pain. Post-adjustment x-rays and Thermographic/Surface EMG scans are taken to ensure that a successful spinal correction has taken place. Lumbar Radiculopathy: Sciatica is a specific condition; and is a description of the sciatic nerve (the largest nerve in the body) that has lost function and no longer works properly (Neuropathy). The prefix "Radix" means "root" and in the case of neck pain with radiculopathy, there is a problem with a lumbar nerve root. This can result in radiating symptoms which include pain (radicular pain), weakness, numbness, paresthesias and difficulty controlling specific muscles. Lumbar Radiculopathy: Sciatica: The problem is at or near the root of the nerve, along the spine. Often, people will experience back pain with radiculopathy. Although the problem is originating in the back, the pain or other symptoms may be noticeable in an extremity through a process called referred pain. For example, a nerve root pressure in the back can produce pain and weakness in the foot. Often, the pattern of symptoms associated with Lumbar Radiculopathy: Sciatica is along the buttock, posterior thigh, posterior calf and along the outside of the foot and into the 5th toe. Other nerve roots can produce symptoms along the side or front of the thigh and into other toes. People often ask what actually "pinches" the nerve to produce Lumbar Radiculopathy: Sciatica? Discs are sponge-like substances that are located between each of the vertebrae in the spine. They act as "shock absorbers" for the spine, cushioning the vertebrae and allowing for the type of movements that help you twist, bend and rotate. As the spine ages, the center of the disc may lose some of its water content, causing it to have less of a cushion effect. As the disc continues to deteriorate, the outer layer may tear, allowing tissue matter from the center of the disc to escape through the tear into the area where the nerves and spinal cord reside. This condition is known as a ruptured or herniated disc. Stenosis refers to a closing down of an opening. In the case of advanced degenerative or arthritic changes, the body will lay down extra bone to stabilize the degenerating spinal joint. This extra bone growth can often increase the pressure on an adjacent nerve root resulting in Lumbar Radiculopathy: Sciatica. Although osteoarthritis is categorized as a non-inflammatory arthritic condition, it is common for arthritic joints to become inflamed from time to time. This may result from repetitive motion, a misaligned spine or overexertion. The inflammatory process can produce chemicals that irritate the adjacent nerve roots resulting in Lumbar Radiculopathy: Sciatica. A common cause of Lumbar Radiculopathy: Sciatica, but often overlooked, is a misaligned cervical spine. When the Atlas vertebra (C1) misaligns this alters the center of gravity of the skull on the spine below. The misaligned atlas results in a twisting of the cervical spine and spinal joints lock into this stressed position. This leads to abnormal movement patterns and abnormal wear and tear (arthritis, disc degeneration, stenosis and inflammation). The misaligned spine or subluxation may be the underlying cause of Lumbar Radiculopathy: Sciatica. The misaligned vertebra can make the opening (foramen) for the exiting nerve root even smaller. If there is arthritis, stenosis and/or a disc bulge at this level, a misaligned spine may make the already compromised opening (foramen) even smaller. Lumbar Radiculopathy: Sciatica symptoms of a differ based on the extent of the nerve irritation, but may include: back pain, leg and/or foot pain (usually in one extremity), muscle weakness, tingling sensation in the leg, calf or foot. Causes of herniated discs and the associated Lumbar Radiculopathy: Sciatica include the prolonged spinal misalignment, natural degeneration of the spine, as described above, injury to the discs resulting from poor lifting posture, repetitive movements, sports, and back strain. Spine injuries from car accidents are just one example of a physical trauma that can lead to neck pain with radiculopathy. Lumbar Radiculopathy: Sciatica - How Can Upper Cervical Chiropractic Care Help Those with Lumbar Radiculopathy: Sciatica? Since many Lumbar Radiculopathy: Sciatica disorders result from spinal trauma or repetitive stress injury to the cervical spine, any injury to the neck area or brain stem can lead to interference with the brain's control over the postural muscles of the spine - resulting in muscle weakness or spasms. Spinal muscles in spasm often lead to compression of the vertebrae and, therefore, compression of the discs between the affected vertebrae. Spine injuries from car accidents are just one example of a physical trauma that can lead to Lumbar Radiculopathy: Sciatica. A NUCCA & QSM3 practitioner can determine whether a spinal injury exists, realign the spine through a gentle and scientific correction applied with the hands, and reduce any nerve irritation and pain resulting from the herniated disc. Once the spine is properly realigned, and the body comes back into a state of balance, vertebrae and disc pressure are relieved and the herniated discs are able to heal. There are many categories of headaches, including migraines, tension headaches, cluster headaches, sinus headaches and Cervical Headaches (originating from the neck). Science is still determining the exact causes of cervical headaches, and cervical spine issues seem to be showing in research as trauma-induced origin for several types of headaches. Evidence is pointing to mild trauma to the head, neck or upper back that increases the risk of cervical headache onset. Researchers have categorized some headaches as "cervical" in origin, triggered by dysfunction of the neck. Cervical headaches can begin immediately following the trauma or take years to develop. If you have tried everything but you have not tried Upper Cervical Care, Cervical headache relief may be a phone call away. The purpose of Upper Cervical Chiropractic Care is to improve the alignment and function of the neck; reducing irritation to the nerves and blood vessels that may play a role in cervical headaches. Many cervical headache sufferers can remember a specific trauma such as a head injury, motor vehicle accident or fall, however some do not. 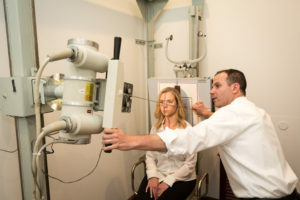 An upper cervical evaluation consists of a thorough health history, examination, computerized neurological evaluation and laser-aligned digital radiography. This evaluation allows the doctor to determine whether or not the underlying cause of the cervical headaches may be originating from the neck (cervical). If after the evaluation, the doctor feels your Cervical headaches may be originating from a small misalignment in the neck, he will tell you. If not, he will tell you that too. The upper cervical procedure is a gentle procedure that does not require any twisting or turning of the neck. Upper Cervical Care has been effective in helping people with neck and back pain, herniated discs, arm pain, sciatica, vertigo and dizziness as well. Fibromyalgia is a chronic debilitating condition that typically occurs more frequently in women, aged 20-50. Symptoms include widespread pain in your muscles, ligaments and tendons, fatigue, and tender areas on your body where even the slightest application of pressure causes pain. Many fibromyalgia sufferers also experience headaches, facial pain, TMJ, neck pain, anxiety, dizziness, Irritable Bowl Syndrome, depression, chest pains, difficulty with concentration, dry mouth, blurry vision, and a heightened sensitivity to smells, bright lights and sounds. Symptoms may be affected by the weather, hormonal changes, time of day (symptoms are generally worse upon rising and toward the evening hours), stress, or the amount of physical activity you engage in on any given day. No one is certain about the exact causes of fibromyalgia; however current thinking seems to point to the increased sensitivity of pain signals in the brain. Why does this occur? Repeated nerve stimulation may cause changes to the brains of those suffering from fibromyalgia. These changes may trigger an abnormal increase in certain brain chemicals that signal pain, called neurotransmitters. The brain's pain receptors, or neurons, receive signals from neurotransmitters and researchers believe that these neurons may start to hold memories of pain, which makes them more susceptible to pain signals, so they overreact. This particular theory on the cause of fibromyalgia is known as "central sensitization," however no single cause has been established. How Can Upper Cervical Chiropractic Care Help Fibromyalgia? Upper cervical subluxations are generally found in fibromyalgia patients using two essential techniques: a) precision laser-aligned radiography to determine the extent of C1 (Atlas) misalignment; and b) digital infrared imaging. The National Upper Cervical Chiropractic Association (NUCCA) and Advanced Orthogonal Technique and Procedures have developed a highly advanced spinal correction procedure that repositions the weight of the head over the center of the neck to remove nerve compression and restore balance to the body. The NUCCA and Advanced Orthogonal procedures utilize a gentle touch and a controlled adjustment to the first vertebra of the spine, commonly called the Atlas. The effects of this single adjustment influence the entire spine and nervous system and allow the head, neck, spine and pelvis to return to their proper positions, restoring balance to the body. After performing a series of NUCCA and Advanced Orthogonal adjustments to fibromyalgia patients, nerve signals are balanced and restored. Although upper cervical care does not cure fibromyalgia, People generally report a significant reduction in the symptoms associated with the condition, most noticeably the severe pain and fatigue that is characteristic of fibromyalgia. Many return to full-time work and leisure activities (gardening, exercise, dancing) that had been affected by the debilitating effects of this condition. Migraines can be severely incapacitating, especially if they become a daily occurrence. Unfortunately, most people with migraines run to a pill bottle at the first sign of onset. All that does, if anything, is reduce or relieve the pain symptom; over-the-counter and prescription medications do nothing for the cause of your headaches and may, in fact, trigger a “rebound effect” for future headaches. Migraines headaches are characterized by intense pain that is felt on one side of the head. The pain may be accompanied by sensitivity to sound and light, nausea, vomiting, diarrhea and cold hands and/or feet. Some migraine sufferers experience an aura (flashing, colored spots or lights that start in the center of the field of vision and radiate outward) prior to actual onset of the headache. Migraines affect many more men than women. Generally, a migraine attack may last from 4-72 hours. Because of the light and sound sensitivity, many migraine sufferers retreat to the comfort of a dark, quiet room during an episode..
Much about the causes of headaches in general is still unknown; even less is known about the causes of migraine headaches. They may occur as the result of an overly sensitive central nervous system, past spinal trauma (fall, accident,), hormonal irregularities/changes (many women experience pre-menstrual migraines), eating certain foods (i.e., red wine, chocolate, aged cheese, caffeine, etc. ), stress, medication side effects, environmental changes (i.e., barometric pressure, altitude, etc. ), and changes in sleep cycles. How Can Upper Cervical Chiropractic Care Help Migraine Sufferers? The National Upper Cervical Chiropractic Association (NUCCA), QSM3 and Advanced Orthogonal Technique and procedures have developed a highly advanced spinal correction procedure that repositions the weight of the head over the center of the neck to remove nerve compression and restore balance to the body. The NUCCA & QSM3 procedures utilize a gentle touch and a controlled adjustment to the first vertebra of the spine, commonly called the Atlas. This adjustment often corrects misalignments in the spinal column which irritate the nerves that run from the brain and spinal cord to the blood vessels in the head. Causes of these misalignments include sports injuries, falls, auto accidents, and poor posture. The effects of a single adjustment to the atlas influence the entire spine and nervous system and allow the head, neck, spine and pelvis to return to their proper positions, restoring balance to the body. After correcting the vertebrae in the upper neck, normal nerve function and blood flow returns to the patient, allowing many migraine sufferers to at last be migraine free, or at the very least, experience far fewer episodes than they did prior to undergoing NUCCA, QSM3 and Advanced Orthogonal procedure care. Former migraine sufferers have benefited greatly from upper cervical care. Upper Cervical Chiropractic Care for a Patient with Chronic Migraine Headaches with an Appendix Summarizing an Additional 100 Headache Cases by Erin Elster, DC. Journal of Vertebral Subluxation Research. August, 2003 (PDF) Radiculopathy: Cervical Lumbar Radiculopathy: Sciatica Radiculopathy: CervicalRadiculopathy: Cervical is not a specific condition; instead it is a description of a nerve or group of nerves that have lost function and no longer work properly (Neuropathy). The prefix "Radix" means "root" and in the case of neck pain with radiculopathy, there is a problem with a cervical nerve root. This can result in radiating symptoms which include pain (radicular pain), weakness, numbness, paresthesias and difficulty controlling specific muscles. Radiculopathy: Cervical: The problem is at or near the root of the nerve, along the spine. Often, people will experience neck pain with radiculopathy. Although the problem is originating in the neck, the pain or other symptoms may be noticeable in an extremity through a process called referred pain. For example, a nerve root pressure in the neck can produce pain and weakness in the hand. People often ask what actually "pinches" the nerve to produce neck pain with radiculopathy? As the spine ages, the center of the disc may lose some of its water content, causing it to have less of a cushion effect. As the disc continues to deteriorate, the outer layer may tear, allowing tissue matter from the center of the disc to escape through the tear into the area where the nerves and spinal cord reside. This condition is known as a ruptured or herniated disc. Stenosis refers to a closing down of an opening. In the case of advanced degenerative or arthritic changes, the body will lay down extra bone to stabilize the degenerating spinal joint. This extra bone growth can often increase the pressure on an adjacent nerve root resulting in neck pain with radiculopathy. Although osteoarthritis is categorized as a non-inflammatory arthritic condition, it is common for arthritic joints to become inflamed from time to time. This may result from repetitive motion, a misaligned spine or overexertion. The inflammatory process can produce chemicals that irritate the adjacent nerve roots resulting in neck pain with radiculopathy. A common cause of neck pain with radiculopathy, but often overlooked, is a misaligned cervical spine. 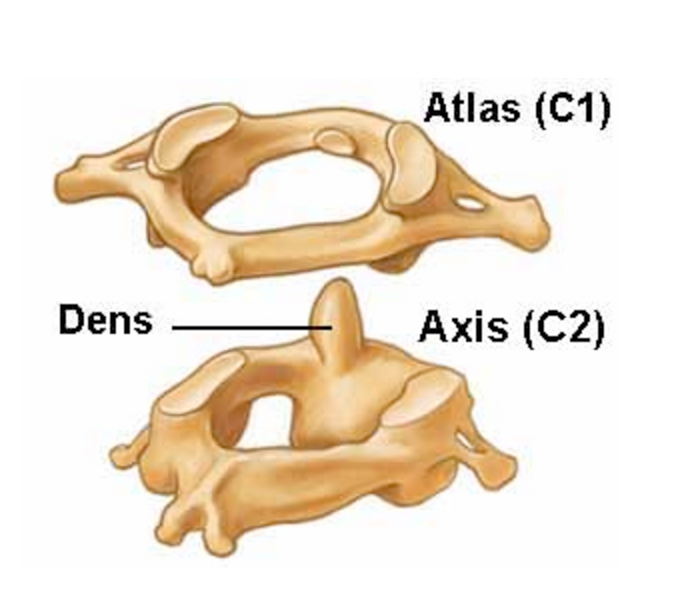 When the Atlas vertebra (C1) misaligns this alters the center of gravity of the skull on the spine below. The misaligned atlas results in a twisting of the cervical spine and spinal joints lock into this stressed position. This leads to abnormal movement patterns and abnormal wear and tear (arthritis, disc degeneration, stenosis and inflammation). The misaligned spine or subluxation may be the underlying cause of neck pain with radiculopathy. The misaligned vertebra can make the opening (foramen) for the exiting nerve root even smaller. If there is arthritis, stenosis and/or a disc bulge at this level, a misaligned spine may make the already compromised opening (foramen) even smaller. Radiculopathy: Cervical symptoms of a differ based on the extent of the nerve irritation, but may include: neck pain, arm and/or hand pain (usually in one extremity), muscle weakness, tingling sensation in the arm, wrist or hand. Causes of herniated discs and the associated neck pain and radiculopathy include the prolonged spinal misalignment, natural degeneration of the spine, as described above, injury to the discs resulting from poor lifting posture, repetitive movements, sports, and back strain. Spine injuries from car accidents are just one example of a physical trauma that can lead to neck pain with radiculopathy. How Can Upper Cervical Chiropractic Care Help Those with neck pain with radiculopathy? Since many radiculopathy: cervical disorders result from spinal trauma or repetitive stress injury to the cervical spine, any injury to the neck area or brain stem can lead to interference with the brain's control over the postural muscles of the spine - resulting in muscle weakness or spasms. Spinal muscles in spasm often lead to compression of the vertebrae and, therefore, compression of the discs between the affected vertebrae. A NUCCA & QSM3 practitioner can determine whether a cervical injury exists, realign the spine through a gentle and scientific correction applied with the hands, and reduce any nerve irritation and pain resulting from the herniated disc. Once the spine is properly realigned, and the body comes back into a state of balance, vertebrae and disc pressure are relieved and the herniated discs are able to heal. Discs are sponge-like substances that are located between each of the vertebrae in the spine. They act as “shock absorbers” for the spine, cushioning the vertebrae and allowing for the type of movements that help you twist, bend and rotate. As the spine ages, the center of the disc may lose some of its water content, causing it to have less of a cushion effect. As the disc continues to deteriorate, the outer layer may tear, allowing tissue matter from the center of the disc to escape through the tear into the area where the nerves and spinal cord reside. This condition is known as a ruptured or herniated disc. Symptoms of a herniated disc differ based on the size and location of the herniation , but may include: low back pain, leg pain (usually in one leg), muscle weakness, tingling sensation in the buttock, knee, ankle, foot or thigh, pain in the thigh, and in extreme cases, weakness that affects both legs and/or loss of bowel or bladder control. Causes of herniated discs include the natural degeneration of the spine, as described above, injury to the discs resulting from poor lifting posture, repetitive movements, sports, and back strain. How Can Upper Cervical Chiropractic Care Help Those with Herniated Discs? Since many disc disorders result from spinal trauma to the cervical spine, any injury to the neck area or brain stem can lead to interference with the brain's control over the postural muscles of the spine - resulting in muscle weakness or spasms. Spinal muscles in spasm often lead to compression of the vertebrae and, therefore, compression of the discs between the affected vertebrae. A NUCCA & QSM3 practitioner can determine whether a cervical injury exists, realign the spine through a gentle correction applied with the hands, and reduce any nerve irritation and pain resulting from the herniated disc. The Chiropractic care that we provide is an effective and affordable program that addresses children's health conditions associated with the nervous and musculoskeletal systems. Gentle, noninvasive and drug-free, chiropractic adjustments treat, resolve and prevent a wide range of health problems. Recent research by the International Chiropractic Pediatric Association (ICPA) ICPA4Kids.org found spinal adjustments safe and successful in caring for children of all ages. Acute conditions may result from birth trauma, sports mishaps and accidental injury. Chiropractic care benefits children by correcting the spinal alignment to improve their overall health. When vertebral joints are misaligned (subluxated) during birth or from a blow or fall, muscle tissue and nerves may also be affected. Spinal adjustment frees joints, restores motion and balances and reorganizes the nervous system, which may be the cause of additional ailments. Parents report successful treatment of children's health issues such as acute earache, upper respiratory infection, muscle pain, neck pain and accident trauma. Chiropractic America reports that natural, drug-free chiropractic care is sometimes more effective than traditional medical approaches for chronic earache, scoliosis, and neck pain. Headaches and sleep disorders of nonspecific causes respond well to spinal adjustments, which affect and repair interrupted neural pathways. The symptoms associated with asthma, allergies, and patterns of attention-deficit hyperactivity disorder (ADHD), sensory processing disorder and autism spectrum disorder may also be helped with upper cervical chiropractic care. How does Upper Cervical Pediatric care work? Anyone who knows anything about pediatric conditions knows that the nervous system is greatly affected and the challenges this brings about are responsible for many of the issues seen in children with autism, such as hyperactivity, attention issues, sleep challenges, behavior problems, social issues, sensory processing issues, and more. In addition, the nervous system is so intimately linked with the digestive and immune systems (the other two systems most commonly affected in autism) that it can also contribute to things such as bowel and bladder problems, autoimmune challenges, and more. From here on out we will look at these systems in a “triangular” sort of approach with the nervous system being the link between them. Let us first start with possible ways the nervous system can be damaged or injured. There are numerous ways to discuss, so we will focus on the major one. The primary mode of injury we see in our office is what we term Traumatic Birth Injury. For many of these children their nervous systems have been damaged right from the outset due to this birth injury, or even prior to that due to in-utero constraint issues (i.e. breech positioning). Unfortunately, no one in the medical system is really trained to check (or address) these sorts of injuries, so most of the time they go completely unmentioned to the parents… If the injury were addressed by a pediatric or upper cervical chiropractor shortly after it occurred, most of the neurological injuries associated with it may be prevented. This is a vital first step. Once that injury occurs, it can put pressure on the brain stem and spinal cord, as well as the spinal nerves in the vicinity. What is more, by creating a misalignment and joint fixation complex (subluxation) in the area, it leads to improper neurological “signaling” or “communication” into and out of the central nervous system. This challenge to the communication system of the body is one of the primary reasons so many children with autism have challenges with sensory processing, social interaction and behavior, and learning. All of this eventually puts the nervous system into a chronic or permanent state of stress. This is often referred to as the stress response, or fight/flight response. It is a response that is vital for short term reactions, but detrimental when “stuck on” for extended periods of time. Most children with autism, ADD/ADHD and/or sensory processing disorder have been in fight/flight from their first moments. This is why we see such a high correlation with infantile colic, ear infections, digestive disorders, and autism. The immune system faces the same challenges… when we are in a constant state of neurological stress the immune system dysfunctions and leaves a child susceptible to allergies, asthma, eczema, and other inflammatory type reactions. All of this leads to more and more inflammation and irritation, and the cycle continues. This is why so many of these reactions and challenges are what we refer to as “viscous cycles” that essentially continue to feed each other and lead to greater and greater challenges. Somewhere, this cycle must be broken, and that is where chiropractic adjustments come into play. By addressing the injury and resultant upper cervical subluxation, a specific chiropractic adjustment restores proper balance and alignment to the neuro-spinal system, and thus can help restore balance and function to the central nervous system. Depending on the severity and duration these injuries have been present, sometimes repeated adjustments can create positive change in a step-by-step process that leads to an improvement in behavior, digestion, immunity, learning, sleep, and more. As I have stated many times before, the sooner we start, the better our chances of having success with such care. Translated to our analogy here, a child’s nervous system cannot be on the “gas pedal” (stress/protection) at the same time as it’s on the “brake pedal” (growth/development/organization/healing). A subluxation, specifically to the upper neck and brainstem area “locks in” the nervous system to that stress mode. A specifically trained Upper Cervical or Pediatric chiropractor is the only provider trained to find and locate that subluxation, and if found, correct and resolve it. Doing so is analogous to “pumping the brakes” and getting the growth, relaxation, and healing system working again! We believe that when a family has a child who is challenged, the number one thing they need is someone who can support them and help them make the proper decisions. Unfortunately, despite the enormous growth in children’s health disorders, most pediatricians are quite lacking in their understanding of how neurology, nutrition, and toxicity play a role in it. Thankfully, Pediatric and Upper Cervical Chiropractors are experts in this area, and you can be rest assured that you will get the support and care your child needs to overcome these challenges and lead a bright and promising life! Periodic ongoing adjustments at a young age may help stave off the above ailments before they begin. Proper spinal alignment now improves the immune system, optimizes growth and development in the critical years and may delay or prevent degenerative bone or joint disease, such as osteoarthritis. In addition to maintaining children's health, regular visits to our office will help instill the value of proactive health care in kids. They'll be more likely to monitor and manage their health as they grow up and less likely to be afraid or in denial of any health problems. Encouraging good lifelong health habits and showing children that health comes from within versus turning to an outside-in (turning to pills and drugs) is one of chiropractic's best benefits for kids. The nervous system is the master controller of all cells, tissues and organs. Nerves control the heart, lungs, immune system, endocrine system, as well as our thoughts and other cognitive processes. Effectively, the nervous system is in charge of directing and overlooking all bodily functions - keeping us alive and healthy, fighting off diseases and infections, and healing our bodies following periods of physical, chemical and emotional stress. The main purpose of the nervous system is to help our bodies adapt to stress. When we lose the ability to adapt, we lose function and in turn health. Physical stress may appear in our life in several forms. There is microtrauma such as repetitive motion or poor posture in the workplace. And there is macro trauma such as falls and spinal nerve problems from accidents. In fact, the most common time that the spine misaligns is during the traumatic birthing process (even in an “uneventful” birth). Chemical and emotional stress play an equal role in disturbing our nervous system and affecting our health. The foods we eat, alcohol, caffeine, artificial sweeteners, chemicals, insecticides and pesticides all stress our nervous system and can lead to a loss of nerve function. Emotions such as fear, guilt, anger, depression and anxiety all have the potential to have deleterious effect on the nervous system. Upper Cervical Chiropractic offers Help for Spinal Stenosis Pain and Cervical Spine Movement Disorders When stress accumulates on the nervous system, the nervous system short circuits and the spine and body assume an adaptive posture. When we no longer have a straight cervical spine we refer to the adaptive position as a Subluxation. A subluxation is an alteration in the position of the spinal bones that negatively affect the transmission of nerve impulses from the brain to the body and the body to the brain. The subluxation interferes with the body's natural ability to self-heal and self-regulate. This results in a state of Dis-ease…where the body is no longer functioning with as it was intended to. The Dis-ease stage is often asymptomatic and its not until months or years down the road that a symptom or disease appear. We can intervene during the early stages of the aforementioned process by living a healthy lifestyle that mitigates the effects of stress and correcting spinal subluxation through scientific Upper Cervical care. The first spinal subluxation most commonly occurs during in-utero constraint or during the birthing process (even if it was an “uneventful” birth). An infant’s spine and supporting musculature often can not withstand the forces applied to the head and neck during the birth process and misalignment typically follows in the upper neck. We have cared for many children through the years (with or without symptoms) with our gentle pediatric chiropractic procedures. A straight cervical spine may prevent cervical spine stenosis and other spinal problems. Many people are surprised to learn that the spine plays a key role in protecting the nervous system. When there is an atlas misalignment (C1 vertebra), the spine will deviate from its normal position. Over time, the nervous system may begin to malfunction which may lead to various health challenges throughout the body. When the atlas misalignment is corrected, the straight cervical spine can greatly enhance neurological health, healing and optimize function. Often a corrected or straight cervical spine will lead to improvement for common lower back injuries or spinal nerve problems as the top and the bottom of the spine work together. The spine is an organ. The neck and lower back are not two distinct body parts, instead they are intimately connected and their respective alignments are dependent upon each other. In fact, the main function of the spinal column (in addition to providing movement for the torso) is to encase and protect the spinal cord and nerve roots. Without this protection it's unlikely that we would survive a relatively small slip and fall or spinal nerve problems from serious accidents. Over time, a misaligned spine will apply uneven forces to the spinal joints leading to accelerated degenerative changes at the levels of the spine that near the greatest load. Similar to a car being out of balance and one tire balding before the others. There are many names for degeneration. As the disc degenerates it may become bulged, herniated, protruded or extruded. The integrity of the bone may become deformed and as the vertebra changes it’s shape bone spurs and cervical or lumbar stenosis may occur. The spinal cord and spinal nerve function is almost always affected and altered. Like tooth decay, spinal decay occurs over time and is a progressive process if the mechanics are not corrected. Upper cervical care aims to balance these compressive forces and correct the altered mechanics in order to prevent future degeneration and suffering. An Out of Line Spine may lead to Common Lower Back Injuries, Spinal Nerve Problems, Cervical Spine Stenosis and other spinal conditions. When the weight of the head (10-14 lbs) is shifted off the center of the top of the neck (atlas misalignment), the body becomes imbalanced. It is best to maintain a straight cervical spine. In the effort to keep the head over the center of the neck, the spine and pelvis will twist, causing one leg to shorten. 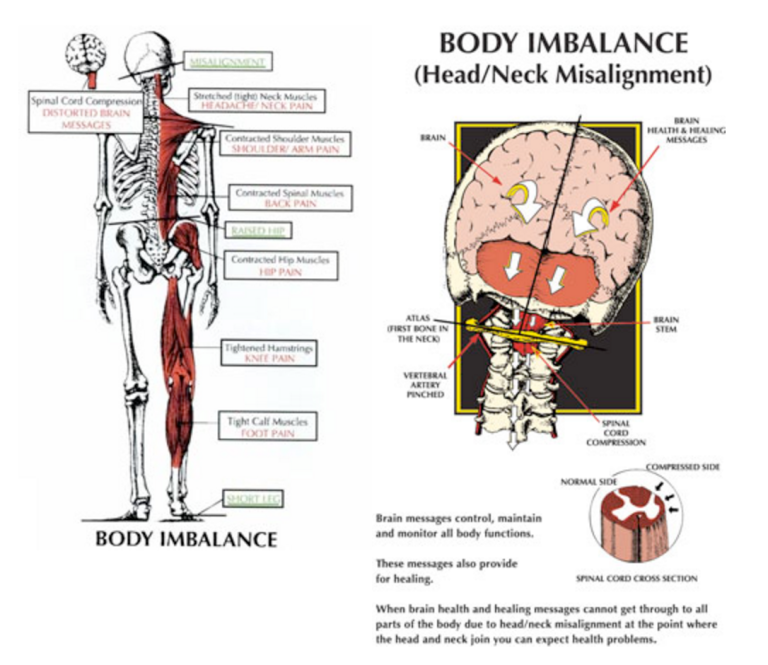 (body imbalance) Correcting the atlas misalignment (a straight cervical spine) or out of line spine can help your body resolve the symptoms associated with headaches/migraines and/or pain in the neck, shoulder, back, hips, legs, knees, or feet/ankles. Atlas misalignment may result in body imbalance, spinal nerve problems and/or muscle and joint pain anywhere in the body. For further illustration, check this link Upper Cervical Spinal Charts Herniated Discs. Upper Cervical Chiropractic Offers Help for Spinal Stenosis Pain with corrections helping Cervical Spine Movement Disorders, General Wellness, and Spinal Nerve Problems from Accidents. How is body imbalance and spinal cord compression corrected? Body balance is restored by an Upper Cervical Spinal Correction. The doctor calculates the exact position of the atlas bone. The atlas, a 2-ounce doughnut shaped bone, is the first vertebra of the neck and spinal column) that completely encircles the spinal cord and brainstem. The doctor analyzes exactly that how far it has shifted, tilted, or rotated away from it's normal position. The slightest degree of atlas misalignment of this small bone that supports the weight of the head can cause body imbalance and spinal cord compression -- which may result in head problems and pain that may be felt anywhere in the body. By utilizing a formula calculated from interpreting the results of the precision x-rays, the doctor is able to make the upper cervical spinal correction. Escalating health care costs continue to remain an issue of great concern for many health professionals, employers and insurance companies. The latest statistics establish that 80% of illnesses and disease in Canada and the United States are preventable. This accounts for eight of the nine leading causes of death, of which there are more than 980,000 per year. Unfortunately, cardiovascular (heart) disease is still the biggest killer and makes up for more than 50% of this number. Yet heart disease is still one of the most preventable diseases in this country. Here are some of the latest statistics concerning health care. For many companies, medical costs can consume half of corporate profits -- or more. Some employers look to cost sharing, cost shifting, managed care plans, risk rating, and cash-based rebates or incentives. But these methods merely shift costs. Only worksite health promotion stands out as the long-term answer for keeping employees well in the first place. Wellness Workshops- We offer a variety of doctor led workshops with the intention of educating, inspiring, and compelling your workforce to take action when it comes to their health. The topics will vary based on the needs of your company, but typically the focus is on stress relief, nutrition, weight loss, injury prevention, family health, time mastery, energy, etc. The outcome is an engaged workforce that is eager to take their lives to the next level based on what they learned. Ergonomic Screenings- The goal of ergonomics is to reduce stress and eliminate injuries and disorders associated with the overuse of muscles, bad posture, and repetitive tasks. This is accomplished by designing tasks, work spaces, controls, displays, tools, lighting, and equipment to fit the employee’s physical capabilities and limitations. Ergonomic reviews are conducted as either a one-on-one meeting or in a group session with the intention of making your workforce aware of what they can do in order to setup their working environment in a way that leads to the avoidance of injury and better productivity. Stress Analysis- We utilize a variety of state of the art technologies in order to assess how lifestyle stresses are impacting the quality of a person's life. The reason this is beneficial is because awareness is the first step to making a change and the objective data that we will provide will help the employee make better decisions regarding their health. Wellness Assessments- We offer a state-of-the-art wellness assessments that will provide each employee with a number, a Wellness Quotient, which depicts how well they are currently living their lives. We combine both subjective and objective data to derive this number which allows us to completely determine what each employee will need in order to increase the quality of their life, which in turn leads to better productivity, decreases absenteeism, and a better company culture. Chair Massage- This is a wonderful "value add" and stress relief resource to offer your employees. We have a highly trained team of Certified Massage Therapists who will offer chair massages to employees at their desks, in a cafeteria, etc. Chiropractic Care- Although many people believe that chiropractic is only the answer to neck and back pain, this is only the tip of the iceberg with regards to how chiropractic can benefit your life. We provide solutions when it comes to asthma, allergies, energy issues, regular sickness, etc. Corporations can bring in our team to offer chiropractic to employees during various time blocks. Call us today to learn about how we can customize a program to meet your specific needs. Health is a journey - not a destination - so we will keep you engaged and informed...JOIN THE COMMUNITY WELLNESS MOVEMENT! Discover Hope for Healing... 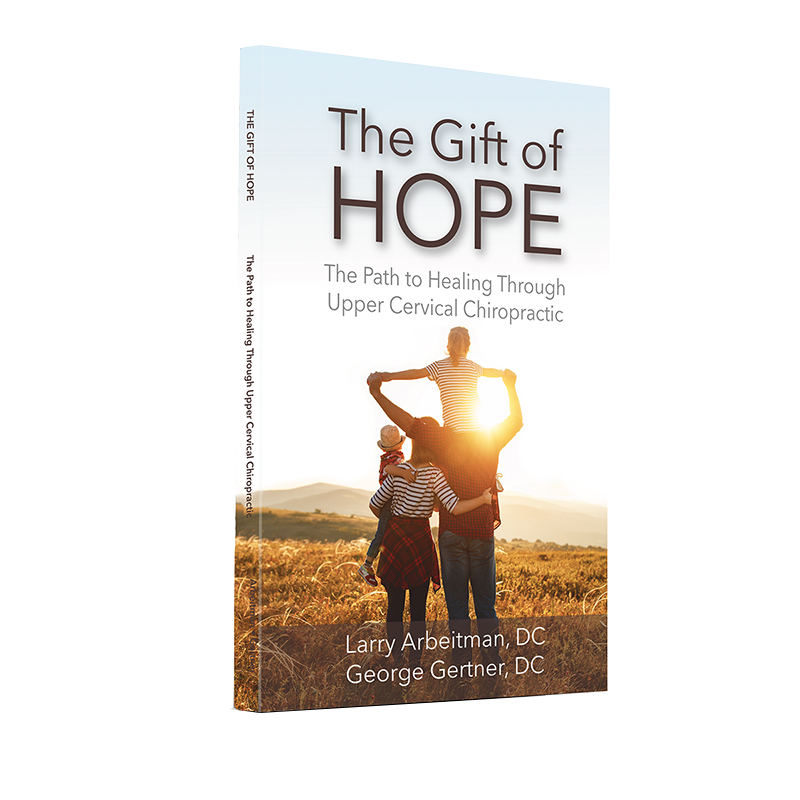 In this ground-breaking book by Dr. Larry Arbeitman and Dr. George Gertner. This book normally sells for $14.95, but for a limited time you can receive this book absolutely FREE. Fill Out The Form Below To Request A FREE Consultation and Get a FREE Copy of My Book (in eBook format) That You Can Instantly Download!